Early Bird rates until 12th July ! 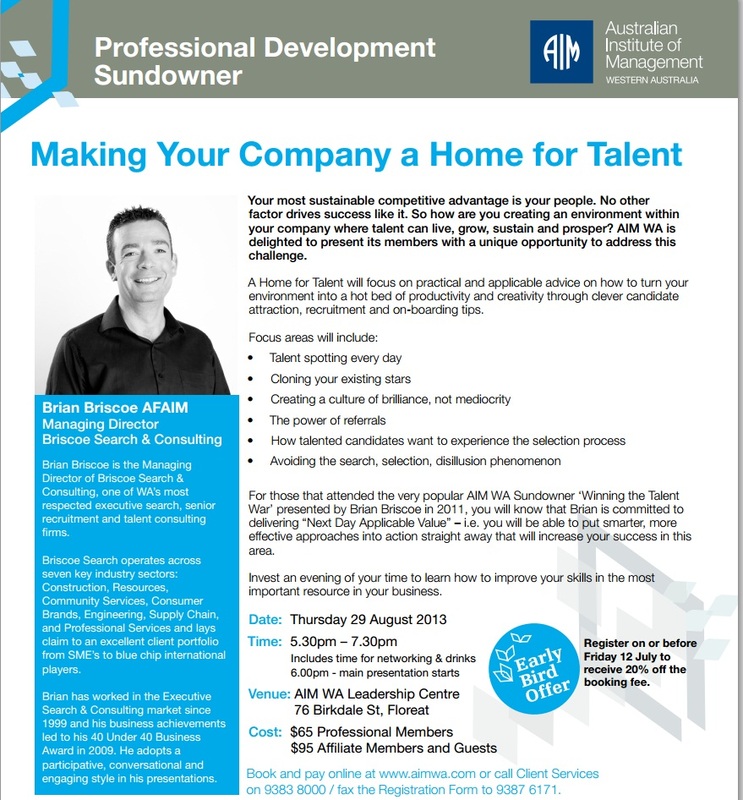 Come and see Brian’s presentation “Making Your Company A Home For Talent” at AIM Thursday 29th August. If you aren’t a member you can become a free Affiliate member and attend the event. Great Value!